As the end of summer official approaches, anything that reminds us of sunnier times and warmer climates is like gold dust. It’s for this reason that Elysium Magazine picks a spirit that screams of the good times. This month we add to the drinks cabinet of the discerning gent Appleton Estate Rare Blend 12 year old Jamaica Rum. This rum isn’t the kind that was born out of a recent pipedream. This rum brings more than two centuries of Jamaican heritage from the Nassau Valley to the table. What makes this rum so special? Well, along with that history it also is produced by the delicate hand blending of the rich flavours to offer lots of depth – but most importantly, mouth-watering flavour. This hand blending has produced a rum of distinct character. A point that is accentuated by its aging in American Oak barrels. The result is a rum with a dark amber hue. On the nose you’re hit with fruit and cocoa notes which are followed by delicate mollases and orange peel. On the palate it’s velvet-like consistency gently teases between notes of gingerbread and honey and will make you savour every sip until the bittersweet finish lingers. The joy about this kind of rum is that it’s meant to be enjoyed the Jamaican way – slow and easy. 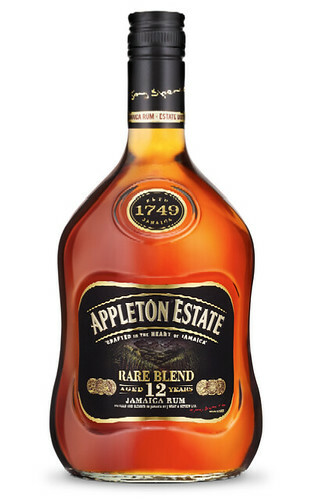 Appleton Estate Rare Blend is bottled at 70cl with 43% ABV. It’s available from The Drinks Shop RRP £35.00.